Our time on this trip was spent with Dr. Sarath Ranaweera, the founder of Bio Foods in Sri Lanka, a company that provides us with important spices such as cinnamon, nutmeg and turmeric. Bio Foods is a pivotal partner in Frontier’s commitment to organics and Fair Trade. (Dr. Ranaweera, in fact, was given Fairtrade International’s “Fairest Fair Trader” award this year.) 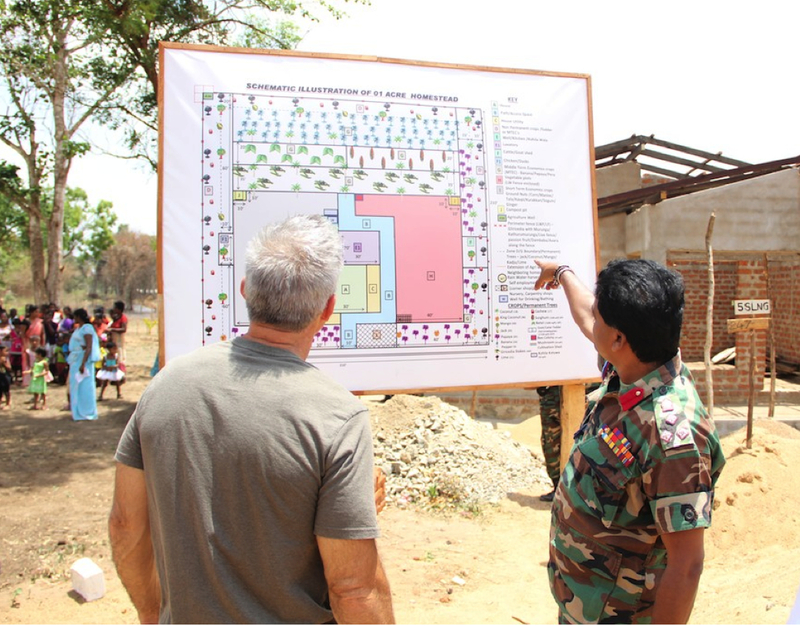 Our trip was focused on two key main areas — visiting Bio Foods facilities and visiting northeastern Sri Lanka, where people are being resettled in farming communities after the country’s civil war. Bio Foods has invested a tremendous amount of resources in Good Manufacturing Practices within their operational processes — from harvesting, drying, processing, steam pasteurization and packing the products for shipment to Frontier. We visited several of their facilities, and the commitment to quality and food safety was strongly evident. 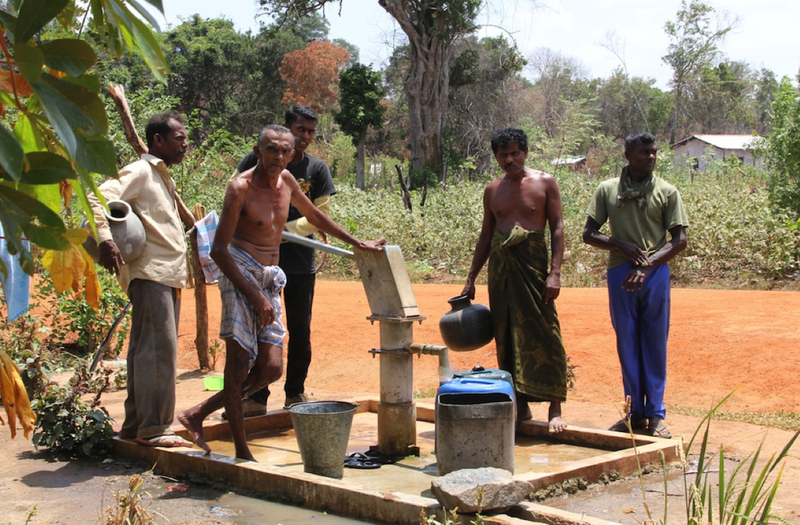 Through our Well Earth program, we provided 16 freshwater wells like this one, bringing closer access to drinking water for hundreds of local families in northern Sri Lanka. 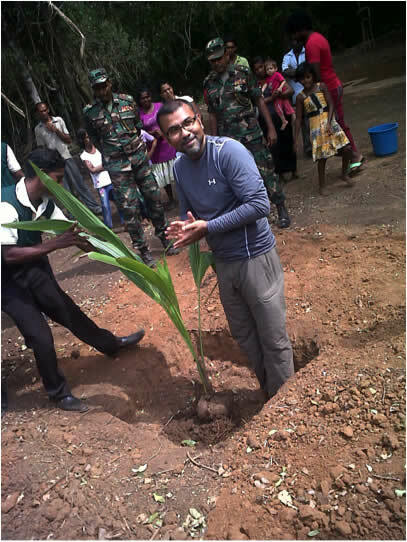 In our visit to northeastern Sri Lanka, we met with people from various farmer communities being settled in the area. Through our Well Earth program, we provided 16 freshwater wells that helped bring close access to drinking water for hundreds of local families. Previously, the people in these communities had to walk several miles for fresh water. Now that distance is several hundred feet — a big impact on their daily lives. 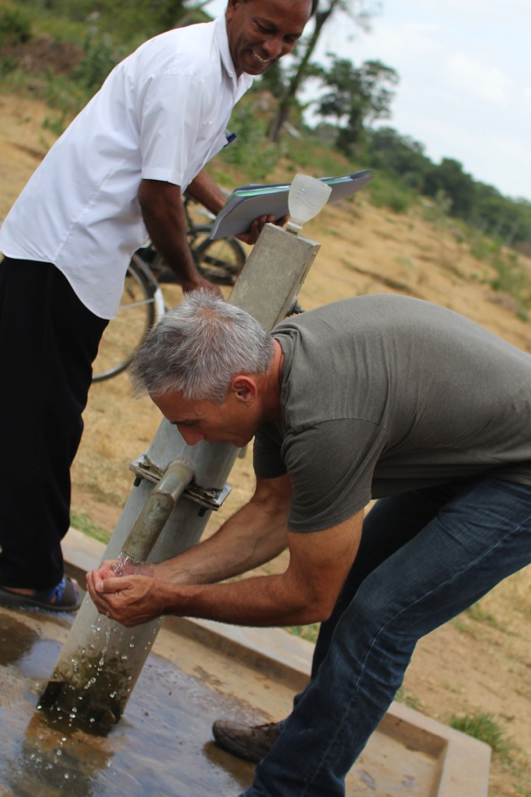 Tony testing the water from one of the wells. Some of those communities include Tamil people, who are part of the marginalized ethnic class in Sri Lanka that formed the Tamil Tigers terrorist group during the country’s two-decade civil war. I spent some of the visit translating from English to Tamil. (Having made only spotty use of the language for the last 30 years after learning it in school in Singapore, some long-dormant brain cells got a good workout.) Tony mentioned that it took people by surprise — especially the Tamils. No one was expecting a Tamil translator from the United States. Our hope is that the people resettling in these areas become part of our Well Earth supply chain as they become established, helping their communities emerge from the shadow of the long war while providing us with high quality, organic spices. I’m proud of the work we do at Frontier Co-op — the impact we have on the planet, the difference we make in people’s lives halfway around the world, and the great products from those faraway places that we make available to our customers in North America. About the Author: Ravin worked as a scientist for eight years before joining Frontier, and also finished his PhD during that time. He joined Frontier Co-op in 1999 and leads Frontier’s Quality and Research and Development efforts. He enjoys good, fresh food and is deeply passionate about the mission of Frontier Co-op. This entry was posted in At the source, Sustainability and tagged well earth by Cayenne Room. Bookmark the permalink.